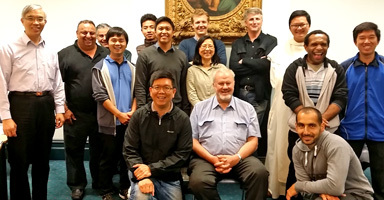 The Marist Fathers' community of Bethany (Paddington/Rosalie, Brisbane), has taken time out to formulate its own Mission Statment. 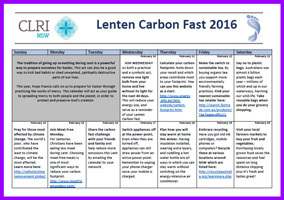 Community leader, Fr Gerard Hall SM, reports how the community spent a recent weekend pondering their identity and goals, assisted by Fr Paul Sullivan. For an abbreviated form of Bethany's Mission Statement click here. 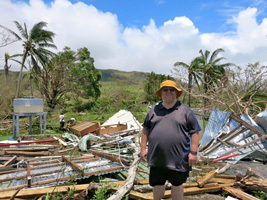 From the Marist Training Centre, Tutu, on the island of Taveuni, Fiji, Fr Mike McVerry SM, reports on the devastation wrought by Cyclone Winston. 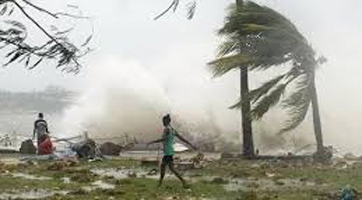 Suva-based Marists, Frs Tony Kennedy and Andrea Volonnino, have sent reports on Cyclone Winston and its devastating path through Fiji. 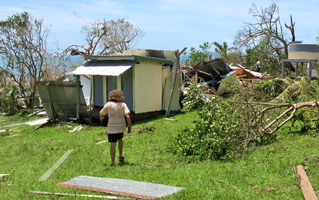 See Fr Tony Kennedy's report sent during the cyclone, below. "We have no power or water at Marist College. We only had a taste of the cyclone though. In Friday evening it looked like the cyclone was coming straight for Suva but by the next morning it had changed direction more towards Taveuni and Ovalau. "On Saturday afternoon from about 4 pm till 10 pm the wind blew and blew. The owner went out at around 6 pm. We buckled down and had a bowl of kava by candlelight and sang songs as the rain tumbled down and the wind blew. At about 10 pm the wind eased and then there was a spectacular lightning show for an hour or so and then the rain really came down. "On Sunday morning the sun was shining as I walked around. 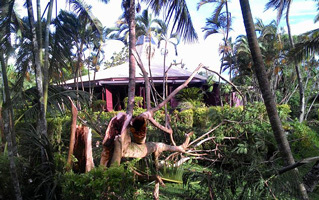 There were a number of trees that were knocked down but really we and PRS had little damage. One of the glass panes in our chapel was smashed. "Today some of us went to Dawasamu where we have a place on the beach. This seemed to be the area where the cyclone crossed the coast. All that is left are the toilets and two water tanks. The building, which was two old houses, is completely destroyed. There are bits of roofing iron all over the place. "We haven't heard much from Taveuni yet. 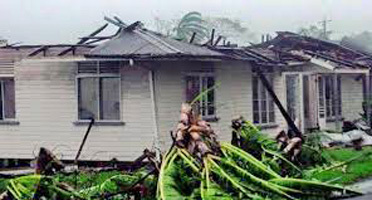 Apparently there is some damage to a number of buildings at Cawaci and in the parish of Levuka. "All the best to everyone and thanks for the prayers." 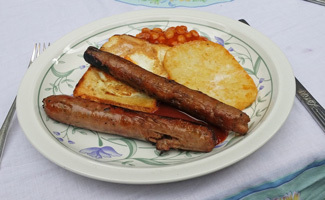 Pastoral team member of St Patrick's city centre church, Sydney, Sr Fidelis McTeigue SM, reports growing popularity of their latest initiative, Saturday breakfast at St Pat's. The weekly service for homeless and disadvantaged fills a gap left by other agencies closing their doors of a weekend. 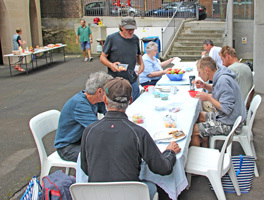 Volunteers from all over Sydney make up the brekky team, including local Marists (and Fr Provincial, BBQ chef extraordinaire). Retirement from full-time teaching (see below) has enabled Fr Andrew Murray to begin development of his own web site, now linked to the province web site. Click here. Latest issue at 'Members only' section, Home Page. 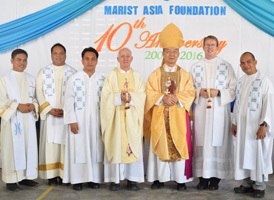 Celebrations in Ranong, Thailand, recently marked the 10th anniversary of the foundation of the Marist Asia mission. 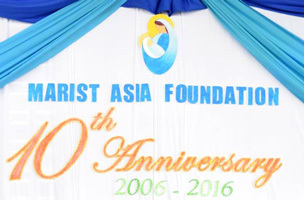 Reaching out in 2006 from the then-Marist Mission District of the Philippines, a pioneer band of Marist missionaries, led by Kiwi Fr John Larsen SM, established a mission in the southern port city of Ranong, Thailand, home to thousands of empoverished Burmese migrant workers. This followed an exploratory period of the pioneer group in Myanmar, forced eventually to leave through opposition by the military-led government authorities, but deepening their conviction to minister to the needy of Burma. Above: Scenes from the anniversary celebrations in Ranong, Jan 2016. 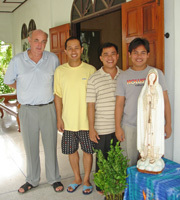 Below, flashback to 2006: Fr John Larsen (left) with the first Marist community of Ranong / ... visiting the waterside slum district | The late Fr Brian Keenan SM, one of the mission's early visitors, and Fr John Larsen with Ranong youngsters, Oct 2006. 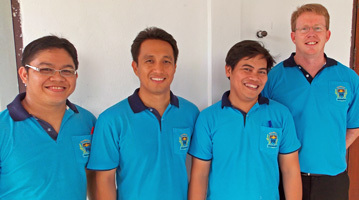 Further below: Present mission leader, Fr Kevin Medilo SM (second from left) with Marist community in 2013 / ... during the construction of the mission's new educational centre | volunteer staff in administration / ... and teaching. 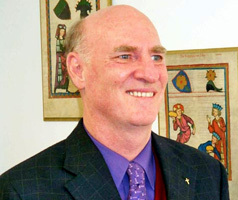 Marist philosophy professor and author, Fr Andrew Murray SM, retired from his academic position on the faculty of Catholic Institute of Sydney on Jan 31. He is pictured, left, with his last class at C.I.S. where he has worked for twenty-four years in teaching, writing, committee and community work. 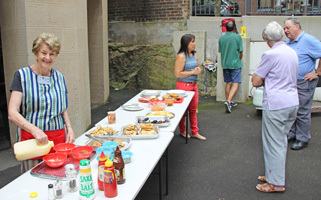 Fr Andrew had previously taught at Catholic Theological Union at Hunters Hill and at Marist College, Burnie, Tas. During 2015, he gave retreats to Marists in New Zealand as well as completing an international review of Marist formation. His next book, Thinking about Political Things: An Aristotelian Approach to Pacific Life, will be launched at Hunters Hill on Mar 11. It is a work of political education intended for peoples of the Pacific islands, but applicable to other traditional and small communities. The launch (click here for details) will be shared with Fr Charles Girard's compilation of 'Letters from the Marist missionaries in Oceania, 1836-1854'. 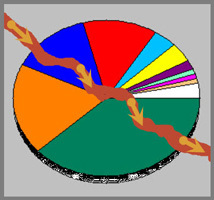 'Hits' on this web site have declined during the now-customary slump of Jan-Feb.
As we know, 'hits' aren't everything, but they have slumped from 560,000 (December) through 350,000 (January) to what promises to be a 12-month low of ca 300,000 in February. Numbers of daily visits bring more comfort, averaging 380 since the beginning of the year with unexplained monthly peaks of 629 (Jan 24) and 508 (Feb 10). Fr Paul Glynn with 'The Smile of a Ragpicker'. 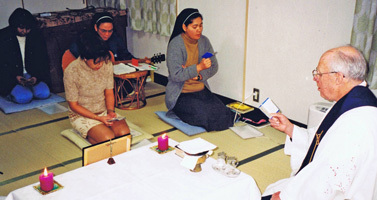 The Beatification Cause of Satoko Kitahara was introduced in 2015. Marist author, Fr Paul Glynn SM, reports of the re-publication on Feb 11 of the Japanese language version of his popular book 'The Smile of a Ragpicker'. 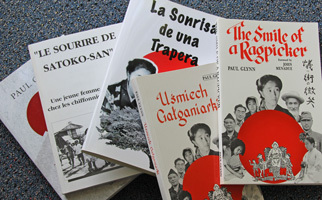 Fr Paul's biography of Satoko Kitahara is in five languages. It is the heroic story of a beautiful, young woman of wealth who gave up her riches and comfort to be among the ragpickers in the Tokyo slums. Motivated by her newfound faith in Christ, she plunged into the life of the poor, regardless of the consequences. 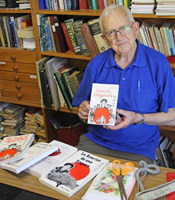 Copies of 'The Smile of a Ragpicker' and others of Fr Paul's books are available through the Marist Mission Centre and at the coffee shop of St Patrick's, Church Hill, Sydney, as well as online booksellers. The English version, in its 6th printing, has sold over 28,000 copies. 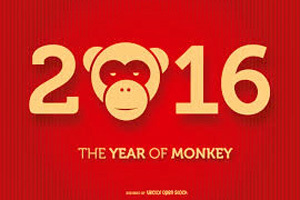 Proceeds help the poor in Asia and Africa. Frs Bob Barber and Jim Carty at the final commendation of Fr 'JL' Walsh / Veteran Japan missioner, Fr John Hill SM, farewells his confrère. 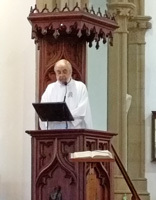 Marist provincial, Fr Bob Barber, presided at the Mass of Christian Burial for Fr John Louis ('JL') Walsh in Holy Name of Mary church, Hunters Hill, on Feb 11. 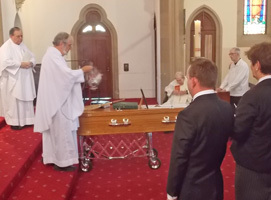 A eulogy from his brother, Des Walsh, and homily by Fr Jim Carty captured the life and ministry of this gentle, zealous Marist. 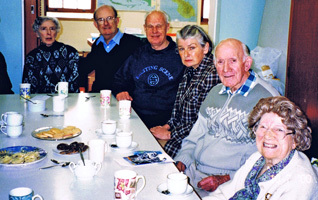 With a congregation of extended family, Marists of various branches and lifelong friends, anecdotes abounded of JL's long and generous years in the Marist mission of Japan. 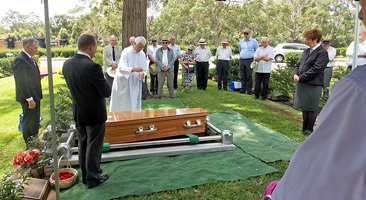 After the Mass Montbel community leader, Fr Paul Mahony, led the graveside ceremony at Macquarie Park cemetery. 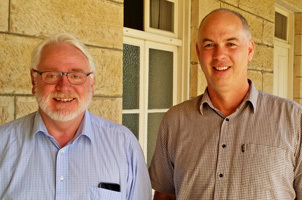 We welcome Frs Tim Duckworth and Paul Martin, to Sydney and Villa Maria for some days. Fr Paul will soon take over the role of Fr Paul Cooney as Bursar-General of the Society of Mary and is consulting with him this week. A key item to be addressed by the Provincial Chapters of both Australia and New Zealand provinces this year will the reconfiguration of both groups. 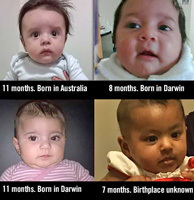 Thousands of citizens are aghast at the Commonwealth Governments's decision to include small children and babies amongst the asylum seekers to be returned to Nauru after medical care in Australia. 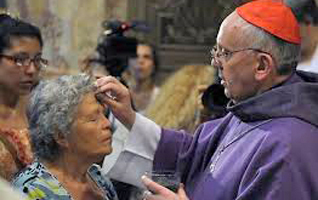 Pope Francis' letter for Lent. 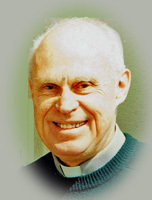 Veteran missionary, Fr John L ('JL') Walsh, has died peacefully in Sydney, aged 84. 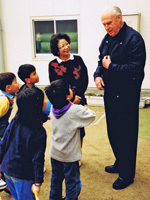 After over 40 years ministry in the Marist mission of Nara, Japan, Fr John returned to Australia in 2008 for a well-earned retirement. Mass of Christian Burial will commence at 11am, Thu, Feb 11, at Holy Name of Mary church, Hunters Hill, NSW, followed by interment at Macquarie Park cemetery, North Ryde. 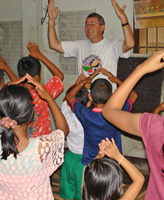 Click here for a profile of Fr John's life. He had been a Marist for 60 years and a priest for 54 years. May he rest in peace. The European Marist province has invited Australian, Fr Gerard Hall SM, to lead its annual retreat at La Neylière, France, in July. The announcement, along with other news from the province, is included in the latest 'Euroinfo'. 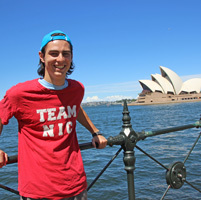 19 yr-old Antoine Michel, graduate of the Marist High School, Quebec, Canada (Séminaire des Pères Maristes), has been encouraged by school chaplain, Fr Jean Martel SM, to make contact with Marists during his 5-week exploration Down Under. He is presently at Villa Maria. 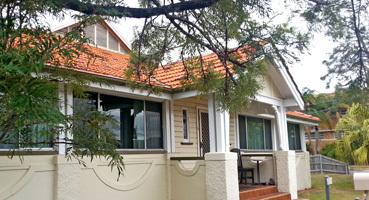 Hunters Hill, NSW, a base for exploring Sydney, the Blue Mountains, kangaroos, wombats, etc. 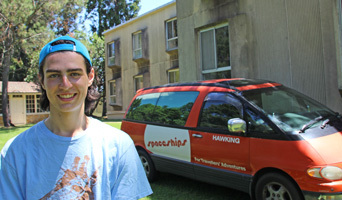 In a compact campervan Antoine is driving from Adelaide to Cairns on his Australian discovery adventure.